After undergoing a complete redesign for 2018, the new and improved Equinox is now better than ever with changes that can be immediately seen and felt. Being smaller, lighter in weight, and more fuel efficient than its predecessor, the Equinox still offers a lot of cargo room and a spacious, well appointed interior cabin for taller passengers as well as abundance of advanced technology that make it one of the best compact SUV’s in its class. The crossover has become one of Chevrolet’s most popular vehicles, providing excellent value and functionality. My test model, the Premier trim, came equipped with a turbocharged 1.5-liter engine that produces 170 horsepower, 203 lb-ft of torque, and yields an estimated 24 mpg in the city and 30 mpg on the highway. With a starting MSRP of $35,330, the Premier trim with all-wheel-drive comes fitted with a heated steering wheel, 6-speed automatic transmission, proximity entry, leather trim, LED head/tail lights, heated driver and front passenger seats, remote start, a large 8-inch touchscreen, Bluetooth connectivity, Apple CarPlay, and Android Auto, OnStar System with a 4G LTE Wi-Fi hotspot, dual-zone automatic climate control, and heated rear seats. Safety features include- lane-departure warning, automatic emergency low-speed braking, forward-collision warning, lane-keeping assist, rear cross-traffic alert, blind-spot warning, a teen driver system with speed warnings, rear park assist, and a rearview camera. On the road, the Equinox is a strong performer and provides a comfortable and enjoyable ride over bumpier surfaces and smooth handling on busy highways. Acceleration is good and the vehicle handles sharp corners and curvy roads with ease and great precision. It has a planted feel on the road and offers a comfortable ride that you would expect from its higher priced competitors. Interior features are very nice as well with a stylish dashboard and console area, plush and supportive seats, and a host of tech features. The front and rear cabin is contemporary, stylish, and spacious with enough room to accommodate taller passengers and there is almost 30 cubic feet of cargo space behind the rear seats to haul medium to large bags, luggage, and boxes. With the rear seats folded down, there is an impressive 63 cubic feet of cargo space to accommodate even more items. I highly recommend taking a look at the new redesigned 2018 Equinox, because it is definitely worth considering if you are in the market for a compact SUV with advanced technology, sleek exterior detailing, comfortable and upscale interior, great performance, and is like no other. The new Chevrolet Cruze Hatchback Diesel is a fuel-efficient, stylish, power packed hatchback and embodies everything a compact car should be. In fact, the Cruze is one of the most popular vehicles GM has ever introduced and that popularity has increased with the brand new hatchback diesel, which offers more cargo hauling flexibility than the sedan and a stout diesel-powered engine that yields an impressive 50 mpg combined. The Cruze is a combination of style, economy, efficiency, and state of the art features that set it apart from other compact sedans on the market today, offering what the consumer needs, from safety features to modern styling. It has been meticulously designed, with the hatchback offering a large cargo area, more safety, 10 standard air bags, and more miles per gallon, providing one of the best mileages of any diesel vehicle in America. The Cruze makes the most out of every dollar put in the fuel tank, but without sacrificing performance and handling. To get such amazing results, you need to have a very impressive engine, and the Cruze absolutely does. The 2018 Chevrolet Cruze comes as either a sedan or hatchback and is powered by a turbocharged 1.4-liter, four-cylinder engine that delivers 153 horsepower and 177 lb. ft. of torque. 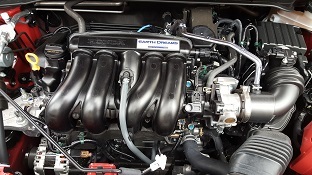 The LT Hatchback Diesel, comes fitted with a turbocharged 1.6-liter, four-cylinder diesel engine that produces 137 horsepower, 240 lb-ft of torque, and can be paired to either a 6-speed manual or a 9-speed automatic transmission. The engine has been specially designed to make the most out of diesel fuel by getting as many miles as possible out of each gallon. The LT Hatchback Diesel yields an estimated 30 mpg in the city and 45 mpg on the highway, which is better than its gas powered counterpart. The sedan is available in four trim levels- L, LS, LT, and Premier, while the hatchback model comes in two trims- LT and Premier and the diesel engine is only available in one trim- LT Diesel. The base L trim comes with standard features, such as- air-conditioning, a rearview camera, 6-speed manual transmission, 15-inch steel wheels, automatic headlights, remote locking/unlocking, a tilt-and-telescoping steering wheel, a 6-way manually adjustable driver seat, 60/40-split folding rear seatbacks, smart phone app integration, Bluetooth connectivity, Apple CarPlay, a 4-speaker sound system, USB port, 4G LTE connectivity with a Wi-Fi hotspot, MyLink infotainment system, and a 7-inch touchscreen. Similarly equipped as the base model, the LS trim comes with all of the standard aforementioned features, but adds a front center armrest, carpeted floor mats, and can be equipped with a 6-speed automatic transmission with a variety of options. The LT trim adds heated mirrors, cruise control, 16-inch alloy wheels, steering-wheel-mounted phone and audio controls, a 6-speaker sound system with satellite radio, better headlights with LED running lights, and a rear center armrest with cup holders. The Cruze Premier trim comes fitted with all of the aforementioned features, but adds chrome exterior accents, 17-inch wheels, an upgraded rear suspension, illuminated vanity mirrors, and ambient interior lighting. There are also a variety of packages available for the upper trims, such as the Convenience Package for the LT, which adds key-less ignition/entry, heated front seats, an 8-way power driver seat, and remote engine start for models equipped with an automatic transmission. A Leather Package adds a heated and leather-wrapped steering wheel, a height-adjustable front passenger seat, and leather upholstery. A Driver Confidence Package can be added to the LT and Premier trims, which offers rear parking sensors and blind-spot monitoring with rear cross-traffic alert and a Driver Confidence II Package can be added solely to the Premier trim and offers forward collision warning, automatic high-beam headlight control, and lane departure warning and intervention. An RS Appearance Package is available for the LT and Premier trims and adds fog lights, a sport body kit, rear spoiler, and 18-inch wheels for the Premier trim. A Sun and Sound Package adds ambient interior lighting, a sunroof, a color driver information center, a bigger 8-inch touchscreen display, and a 9-speaker Bose sound system. The Driver Confidence, Sun and Sound package, offered only on the LT Diesel with the automatic transmission, combines features of both the Sun and Sound package with the Driver Confidence Package and an Enhanced Convenience Package is available for the Premier trim adding automatic climate control, an auto-dimming rear view mirror, a 110-volt power outlet, wireless device charging, and heated rear seats. The exterior design of the Cruze gives the appearance of a more expensive car with its beveled hood, taut curves, and sharp angles. Centered by the strong, attention-getting Chevrolet grille, its swept-back lamps guide the eye across its sculpted fenders, around the sides, and back again. Most definitely, the Cruze leaves a lasting impression with its bold exterior design, but it is important to remember that those curves, lines, and angles do so much more than just please the eye and turn heads. They actually improve the aerodynamics of the Cruze, which optimizes efficiency and helps get the most out of every drop of fuel. Interior features of the Cruze Hatchback Diesel are very nice with comfortable seats, upscale features, advanced technology, a 7-inch touch-screen infotainment system, Bluetooth, SiriusXM radio, and an attractive interface that is easy to understand and operate. Also, one of my favorite features is the 4G LTE internet connectivity and a Wi-Fi hotspot with a subscription. It is so helpful to have internet access on the go and it is a rare feature that is unavailable in many vehicles by other manufacturers. On the road, the Cruze Hatchback Diesel is a strong performer and is designed for fuel efficiency without compromising performance and accelerates with authority. The 9-speed automatic transmission is smooth and quickly changes gears efficiently. The vehicle handles tight corners and curvy roadways with ease and provides a unique driving experience that just might surprise you. It definitely surprised me! Diesel powered vehicles may not be the most popular choice today, but the new Chevy Cruze Hatchback is a solid car with a clean diesel engine and offers more of everything you need and ought to have, such as fuel efficiency, safety, features, advanced technology, and styling. It has a starting MSRP of $26,310 for the manual or $26,740 with the 9-speed automatic, but with all of its high end features, it is definitely well worth the price. The Hyundai Sonata Limited is a stylish, well appointed, four-door, mid-size sedan with smooth on the road performance, and a sleek design that is like no other in its class. The Sonata has a refined, upscale, comfortable, and luxurious exterior/interior, which is amazingly similar to more expensive luxury vehicles, such as the Audi A4 and Lexus ES, with technologically advanced features, excellent fuel economy, and top of the line performance that make the Sonata a real competitor with some of the world’s most popular sedans. The Sonata has received a refresh for the 2018 model year, but has not been completely redesigned since 2015 and comes in six trim levels- SE, SEL, Eco, Sport, Limited, and Limited 2.0T. The Sonata SE comes equipped with a 185-horsepower, four-cylinder engine, and a 6-speed automatic transmission. It has ample power for daily driving, but if you want more power, there are two turbocharged four-cylinder engines available. The top level trims come fitted with a powerful 245-horsepower engine that delivers more powerful performance and better acceleration. The base SE trim has a starting MSRP of $22,050 and includes- air conditioning, power steering, a 7-inch touch-screen display, smartphone connectivity, a tilt/telescoping steering wheel with volume controls, Bluetooth connectivity, cruise control, a Blue Link infotainment system with Android Auto and Apple Car Play, USB and auxiliary ports, and yields an estimated 24 MPG in the city and 35 MPG on the highway. A power sunroof, wireless device charging, a 9-speaker Infinity premium sound system, satellite radio, and a bigger 8-inch touch screen with navigation are available. The fuel-efficient Sonata Eco comes fitted with a 178-horsepower engine, has a 7-speed dual-clutch automatic transmission instead of the standard 6-speed automatic that is in the base trim, and delivers the best fuel economy of all the trims. The Sonata SEL has an MSRP of $23,700 and comes with the same standard features as the base SE trim, but adds heated front seats, satellite radio, a power-adjustable driver’s seat, and HD Radio. A technology package is available for the SEL and offers automatic emergency braking, adaptive cruise control, pedestrian detection, and lane keep assist. Standard features for the Sport trim include- a power sunroof and sport seats, but there are no package options for the Sport. If more power is desired, Hyundai has an engine upgrade option, which offers the 2.0T, which is a powerful, turbocharged, four-cylinder engine with 245- horsepower, quick acceleration, and excellent fuel economy, and yields 33 mpg on the highway. An Ultimate package is available and adds wireless device charging, a heated steering wheel, satellite radio, lane keep assist, rear parking sensors, an infotainment system with an 8-inch touch screen, navigation, automatic emergency braking, and an Infinity sound system. Safety features on all trim models include- front-impact airbags, tire-pressure monitor, brake assist, occupancy classification sensor, traction control, driver and front passenger side impact airbags, active front head restraints, front and rear seat head-protection curtains, brake assist, anti-lock brakes (ABS) with electronic brake-force distribution, and electronic stability control. Interior features are quite impressive, especially with the Sonata Limited trim level. In fact, the Limited is the most luxurious, highly appointed model in the Sonata lineup and comes fitted with either a standard or turbocharged engine, leather seats, sunroof, dual-zone automatic climate control, rear console mounted vents, 360-watt sound system, heated front/rear seats, leather wrapped steering wheel, turn signal indicators in the outside mirrors, auto dimming rearview mirror with compass, wood grain or piano black interior trim accents, and 17-inch aluminum wheels. The Limited Navigation Package adds a rearview camera, intuitive navigation system, premium sound, and a panoramic sunroof. The Hyundai Sonata has a spacious front and rear cabin and can seat five passengers comfortably, providing enough head/leg room for taller passengers. The interior of the Limited model is beautiful with ergonomic, supportive, and plush leather seats, which make the vehicle a great choice for long road trips. There is plenty of cargo space-16.4 cubic feet, to accommodate large bags, small furniture items, boxes, and luggage. The Hyundai Sonata has an impressive exterior that from many angles appears a lot like a luxury sedan. In my opinion, it could easily be mistaken for a Mercedes, Audi, or a Lexus. Hyundai did an excellent job of designing the Sonata, giving it an upscale appearance, without the high price tag. 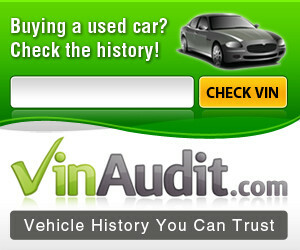 It is classified as “mid-size”, but really has larger dimensions that are similar to the Honda Accord and Toyota Camry. Even though the Sonata looks similar to some expensive luxury sedans, it definitely has a unique style that is all its own with delicate, fluidic creases along the sides of the vehicle that move toward and inward from the side frames of the windshield, attracting attention to the striking chrome grille and Hyundai logo. The exterior rear is elegant with soft, curved lines, and minimized taillights. Interior amenities in the Limited model are luxurious with refined, chrome-like plastic trim, glossy faux wood grain accents, an attractive dashboard, and a stylish middle console area. On the road, the Hyundai Sonata Limited provides a smooth and quiet ride, with minimal road noise. It also has a regal and composed feel to it while driving and handles like a luxury vehicle, gliding over rough surfaces effortlessly, and accelerating quickly with strong, accurate braking in heavy traffic. If you have been looking for a “luxury” type mid-size sedan that is fun to drive, stylish inside and out, spacious, comfortable, fuel efficient, and affordable, then I highly recommend taking a look at the 2018 Hyundai Sonata Limited. The 2017 Toyota Sequoia is a large, full size, four door, truck-based SUV that is spacious enough to feel like a living room on wheels with ample room for up to seven passengers, plenty of cargo space, and an impressive towing capacity up to 7,400 pounds. Even though the Sequoia has not had any major changes for 2017, it is still a practical choice for bigger families with great on the road performance, comfortable and spacious interior, advanced technology, and quick acceleration. In the previous model year, the Sequoia received an updated version of Toyota’s Entune Entertainment System, which features Siri Eyes and connected navigation. A Safety and Convenience Package is now available for the Limited trim and adds side mirrors, blind spot warning, lane change assist, and a driver’s side memory seat. The Sequoia is available in three trims- SR5, Limited, and Platinum. All trim levels come fitted with a 5.7-liter V8 engine that produces 381 horsepower, 401 lb. ft. of torque which is paired with a 6-speed automatic transmission. A 4-wheel drive system is optional. Although there aren’t a lot of engines to choose from, the standard one is definitely not sluggish and delivers remarkable acceleration and the six speed automatic transmission performs perfectly, smoothly, and shifts gears with great ease and without hesitation. The base SR5 trim comes equipped with standard features which include- fog lights, 18-inch alloy wheels, a deicing windshield wiper, heated mirrors, keyless entry, sunroof, roof rack, running boards, rear privacy glass, a power rear window, tri-zone automatic climate control, cruise control, a 40/20/40-split second-row bench seat that can slide and recline, an 8-way power driver seat, 2nd and 3rd row side window sunshades, a 60/40-split reclining and fold-flat third-row bench, a tilt-and-telescoping steering wheel with audio and Bluetooth controls, a rearview camera integrated into the auto-dimming rearview mirror and an 8-speaker sound system with Toyota’s Entune Audio Plus with 6.1-inch touchscreen, a CD player, Connected Navigation, Siri Eyes-Free smartphone voice controls, a USB/iPod interface, HD radio, and an auxiliary audio jack. A sport package is available for the SR5 trim and adds second-row captain’s chairs, 20-inch chrome alloy wheels, and a color-keyed grille. The SR5 premium package adds a four way power passenger seat, leather upholstery, a powered reclining and folding third row seat, heated front seats, and a power driver seat with lumbar adjustment. The Limited trim adds a leather-wrapped steering wheel, 20-inch alloy wheels, power-folding and auto-dimming outside mirrors, a navigation system, Pandora and OpenTable apps, front and rear parking sensors, a power liftgate, a backup camera, leather-trimmed doors, improved gauges, and a bigger 7-inch touchscreen display. An optional Safety and Convenience includes a blind spot monitoring system, two-position driver seat and outside mirror power memory functions. A large 9-inch display, 14-speaker JBL audio system, and a rear seat entertainment system with a Blu-Ray player is optional. The Platinum trim comes equipped with all of the aforementioned features and adds heated and ventilated front seats, 20-inch wheels, a blind spot monitoring system, adaptive air suspension, a second-row center console, a premium JBL audio system, a power-adjustable driver seat with thigh support, adaptive cruise control, heated second row captain’s chairs, a power-adjustable steering wheel, and driver memory functions. Fuel economy is good with the full size Sequoia SUV yielding an estimated 13 mpg in the city and 17 mpg on the highway, however, some competitors have better fuel ratings. Standard safety features for all 2017 Toyota Sequoia trims include- front knee airbags, front seat side-impact airbags, stability and traction control, trailer sway control, full-length side curtain airbags, a rearview camera, and anti-lock disc brakes. Front and rear parking sensors and a blind spot monitoring system are optional on the Limited trim, while adaptive cruise control and a blind spot monitoring are standard on the Platinum trim. The interior of the Sequoia is very nice with a spacious front and rear cabin with enough head/legroom for taller passengers. Seats in all three rows can recline in variety of ways, are comfortable, supportive, and feel ergonomic. Even though the Sequoia is rugged, there are is an abundance of elegant interior features and materials that add a touch of elegance to the SUV. The gauges are easy to use, but the touchscreen controls are not easy to reach at times. There are many areas in the front cabin to store items with a big storage compartment directly under the front/middle armrest. Cargo space is excellent with 18.9 cubic feet of space behind the third row when the seats are upright, 66.6 cubic feet of space when the third row’s seats are folded down, and an impressive 120 cubic feet of cargo space when both the 2nd and 3rd rows are down, which is more than the Chevy Tahoe. On the road, the Sequoia provides excellent and smooth ride quality, which is much better than many others in its class. The Sequoia has a solid, planted feel when making sudden turns and on curvy roadways. It is more capable off-road than most big family vehicles, however, because of the Sequoia’s large size, maneuvering in tight spaces, can be difficult at times, but the rearview camera is very helpful. In summary, the Toyota Sequoia remains a great choice for consumers with bigger families that want a large, reliable, and comfortable SUV with a spacious interior, luxurious features, and excellent towing ability. Without a doubt, the Prius is the most popular and distinctive hybrid vehicle that Toyota has ever produced and is a pioneer in hybrid technology, delivering one of the best mpg of any vehicle. Since its introduction in the 1990’s, other hybrid vehicles have entered the automotive scene in more recent years, but no other has been able to surpass the popularity of the Prius. With a unique style, smooth handling, and excellent fuel economy, such as with the Prius Eco yielding an impressive 56 MPG combined, it is very easy to see why it is still the world’s best selling hybrid vehicle. The 2017 Prius was completely redesigned during the previous model year and now features a lower, ergonomic, and improved supportive driver seat, increased front cabin leg and headroom, 14 percent more cargo/trunk space, better handling, and a sleek, new exterior design. The four-door hatchback seats up to five passengers and is available in seven trim levels- One, Two, Two Eco, Three, Three Touring, Four, and Four Touring. The Prius One and Two come fitted with similar features, except the lower One trim does not come with a rear window wiper. The Prius is powered by a 1.8-liter hybrid engine with a mixed production of 134 horsepower that is connected to a (CVT) continuously variable transmission. A plug-in version is also available, however; due to its heftier batteries, it can reach 62 MPH solely on electric power. Other trims are available, such as the bigger Prius V Wagon and the smaller and less expensive Prius C hatchback. Standard features for both the Prius One and Two trims include- height adjustable driver and passenger cloth seats, split-folding rear seatback, storage center armrest, hands-free entry, 4 one-touch power windows, clock, trip computer, external temperature display, cruise control, front and rear cup holders, front door pockets, overhead console with storage, front seatback storage, electric power steering, tilt and telescopic steering wheel, sound and cruise controls on steering wheel, rear view camera, interior air filtration, climate control, simulated alloy steering wheel, dual illuminating vanity mirrors, 6 speakers, AM/FM stereo, auxiliary audio input and USB with external media control, radio data system, USB connection, Telematics, and Bluetooth wireless data link for hands-free phone connectivity. The Prius Two Eco is fitted with illuminated keyless entry on three doors, two-tone wheel covers, ultralow-rolling-resistance tires, an inflation kit instead of a spare tire, and a lighter lithium-ion hybrid battery. The better equipped Prius Three includes- a navigation system, white interior accents, leatherette steering wheel and armrest trim, a 7-inch touchscreen, satellite radio, a wireless phone charging pad, and Toyota’s Entune Infotainment System that comes with HD Radio, weather, current traffic, stock and fuel prices, sports, and apps such as Yelp, Pandora, OpenTable, and iHeartRadio. The Prius Four comes with automatic wipers, leatherette upholstery with contrasting white stitching, rear cross-traffic alert, a rear cargo cover, blind spot monitoring, seatback storage pockets, heated front seats, and a power driver seat with adjustable lumbar. The Three Touring and Four Touring add larger 17-inch alloy wheels, foglights, LED clearance lights, unique rear bumper styling and leatherette upholstery with contrasting blue seat stitching, and come with the Toyota Safety Sense package, which includes full-speed adaptive cruise control, lane departure warning and intervention, a pre-collision warning system, and automatic high beams. An Advanced Technology Package upgrade is available for the Prius Three and Four trims, which adds a sunroof, Toyota Safety Sense equipment, and a head-up display. A Premium Convenience Package that includes a self-parking system, safety connect emergency help, and a JBL 10-speaker premium sound system, is available for the Prius Four and Prius Four Touring trims. The 2017 Toyota Prius has a high safety rating and is one of the safest hybrid vehicles available. It comes equipped with 4-wheel ABS, front and rear head airbags, dual front side-mounted airbags, child seat anchors, emergency braking assist, ventilated front disc / solid rear disc brakes, rear door child safety locks, daytime running lights, engine immobilizer, auto delay off headlamps, 2 front headrests, 3 rear headrests, passenger airbag occupant sensing deactivation, rear center 3-point belt, stability control, traction control, rear folding headrests, tire pressure monitoring, first aid kit, an Emergency Assistance Kit, and a security system with impact sensor. On the road, the Prius has great driving dynamics and has a stable, yet lightweight feel. A Plus Performance package is available, which improves the driving experience, adding a rear sway bar, lowering springs, and 17-inch wheels. The interior of the Prius is simple, yet very modern with easy to use controls. Road noise is minimal and both the front and rear cabin are spacious with enough head/legroom for taller passengers. Even though there are a lot of hard plastics throughout the front cabin, the layout looks clean and uncluttered. I like that all of the controls are easy to reach and operate while driving and the interior is surprisingly roomier than it appears from the exterior. Trunk space is quite accommodating and can be expanded with the split folding rear seats to haul larger items. The 2017 Prius is the perfect choice for consumers desiring a vehicle that can be driven all day in both the city and on the highway delivering optimal fuel economy and a fast charging rate. The Prius is also very affordable with a starting MSRP of only $23,475. If you have been looking for a hybrid vehicle that is fun to drive, comfortable, spacious, and affordable with excellent fuel economy, then I highly recommend taking a look at the 2017 Toyota Prius Hybrid Hatchback. For a decade, the Honda Fit has been one of the best subcompact vehicles available and it’s amazing longevity is no surprise for those who have experienced all that the Fit has to offer, such as excellent fuel economy, advanced technology, spritely on the road performance, a roomy front and rear cabin, spacious cargo area, and an eye-catching exterior design that is like no other. The 2017 Honda Fit comes in four trim levels: EX, LX, EX-L, EX-L with Navi, and comes fitted with a 1.5-liter, 4-cylinder engine that produces 130 horsepower and 114 lb. ft. of torque. Both the LX and EX trims come equipped with a 6-speed manual transmission, but a continuously variable automatic transmission (CVT) is optional. The manual transmission yields an estimated 29 mpg in the city/36 mpg on the highway, the CVT equipped models yield an estimated 32 mpg in the city/37 mpg on the highway, and the LX yields an impressive 33 mpg in the city/40 mpg on the highway. The LX trim includes- automatic headlights, a rearview camera, LED brake lights, 15-inch steel wheels, cruise control, a height-adjustable driver seat, a tilt-and-telescoping steering wheel, a 5-inch display screen, full power accessories, an auxiliary audio jack, a USB port, Bluetooth phone and audio connectivity, and a 4-speaker audio system with CD player. EX trims add 16-inch alloy wheels, fog lights, a sunroof, keyless entry/ignition, a 7-inch touch screen display, an upgraded rearview camera, Honda’s Lane Watch blind-spot display, a six-speaker audio system with two USB ports, Siri voice connectivity, smart phone app integration, and an HDMI input, which is necessary for certain HondaLink features to function properly. The EX-L adds heated body-color side mirrors, a leather-wrapped steering wheel and shift knob, leather upholstery, and heated front seats. The EX-L with Navi adds, of course, a navigation system with voice recognition and an HD satellite radio. From the outside, the Fit appears small, but not from the inside. The entire front and rear cabin feels very spacious with ample head/legroom for taller passengers and the seats are comfortable and supportive. The rear seatbacks can be folded forward to yield more cargo room than the majority of vehicles in its class. Because of the Fit’s compact size, it is easy to maneuver and park in crowded places and it handles very well on bumpier road surfaces. Standard safety features include- antilock brakes, stability and traction control, front side airbags, side curtain airbags, and active head restraints. The Lane Watch blind-spot system, which comes standard on the EX trim and above, includes a small camera in the passenger-side mirror that offers a wide and low view of a blind spot when the right turn signal is on. In government crash testing, the 2017 Honda Fit achieved a top five-star overall rating- four stars for rollover, five stars for front-crash protection, and five stars for side-crash protection. The interior of the 2017 Honda Fit is comfortable, spacious, and there is ample head/legroom in the front and rear cabin for taller passengers. All of the controls are easy to reach and operate and the touch screen display is large on the EX trim, which improves visibility and readability. The rear seat can split 60/40 and features a flip-up seat cushion that opens floor to ceiling room for taller/elevated items. When both rear seatbacks are folded down flat, there is 52.7 cubic feet of cargo room and the front passenger seat can also fold flat to accommodate cargo up to 8 ft. in length, which is impressive and makes the Fit stand out among other subcompact in its class. On the road, the Fit is a strong performer and feels poised on the highway. Road noise is surprisingly minimal and the vehicle navigates very well around sharp corners and on curvy roadways. The Fit accelerates quickly and is great for short trips around town as well as longer excursions. 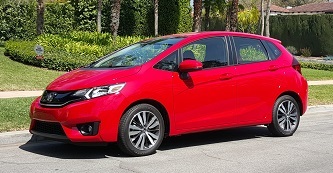 Even though the Honda Fit may not appear that exciting upon first glance, the vehicle has so much to offer and is extremely dependable, fuel efficient, versatile, and has a starting MSRP of only $16,090, making it one of the most inexpensive vehicles in its class. The Fit represents an excellent value for anyone looking for a subcompact vehicle that is affordable, stylish, and reliable. As gas prices remain high and as concern for the environment increases, more consumers are seeking more fuel efficient vehicles that help save money and reduce carbon emissions, but yet still are stylish and fun to drive. Honda has responded to this need and desire by introducing the Accord Hybrid Touring. The Accord Hybrid comes in three trims- Base, EX-L, and Touring. I tested the Touring and was very impressed with the excellent way the vehicle feels on the road, comfortable interior details, and hi-tech features, but it is more expensive than some other midsized hybrids, such as the Toyota Prius. The Honda Accord Hybrid is one of the best hybrids in its segment and yields an amazing 49 mpg in the city and 47 mpg on the highway. The base Hybrid trim comes fitted with- automatic headlights, 17-inch alloy wheels, LED taillights, an 8-way power driver seat with two-way power lumbar, key-less ignition and entry, cruise control, an auxiliary audio jack, a large 7.7 inch infotainment display screen, Pandora, active noise cancellation, Bluetooth connectivity, a USB port, rear view camera, a 6-speaker audio system, and dual-zone automatic climate control. The EX-L trim adds a sunroof, leather upholstery, auto-dimming rear view mirror, a 4-way power front passenger seat, driver memory settings, heated front seats, satellite and HD radio, smart phone connectivity, a better sound system with 7 speakers, an additional USB port, and a 7-inch touch screen in addition to the 7.7-inch infotainment display screen that comes standard on the base model. Finally, the top of the line Touring trim adds a navigation system, LED headlights with automatic high-beam control, front and rear parking sensors, and heated rear seats. Inside and on the road, the Accord Hybrid does not disappoint with a well-designed cabin, comfortable seating in the front and rear cabin, quiet interior, quick acceleration, and advanced technologically advanced features. There is so much to like about this vehicle and is sure to please even some of the most selective drivers. As far as price is concerned, the Accord Hybrid is definitely higher than many of its rivals with a starting MSRP of $29,605; however, you do get a lot more upscale features for the money with the base trim, such as a full driver assistance suite, LED daytime running lights and taillights, power seats, push-button/remote start, and keyless entry. What I really like about the Accord Hybrid is that it looks so much like the gas powered Accord, and it is hard to tell them apart, unlike the majority of hybrids, the Accord Hybrid does not appear to be a typical hybrid vehicle. The headlights are different and there are small, blue-accented badges that show that the vehicle is a hybrid and eco friendly, but other than that, the Accord Hybrid has a mainstream and attractive exterior with a smooth and aerodynamic design that sets it apart from the competition. The Honda Accord Hybrid is also available in four exclusive colors. Safety features include- a rearview camera, active front head restraints, antilock disc brakes, stability and traction control, front seat side airbags and side curtain airbags, side blind-spot monitoring, Lane Watch, forward collision warning and forward collision intervention with automatic braking, lane departure warning, lane and road departure intervention. On the road, the Accord Hybrid is quick and takes off smoothly and silently when gently pushing the accelerator pedal in electric mode and when the engine comes on, it works with the electric motor in a tandem way to help replenish and power up the battery pack in the Hybrid Drive mode. When you lift your foot off the accelerator, then the motor becomes a generator to change unnecessary energy to electricity to recharge the battery. 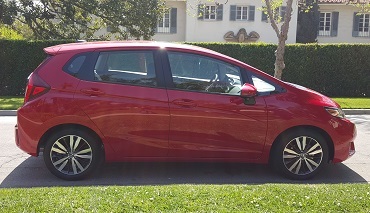 Although the Honda Accord Hybrid has great features, an elegant design, advanced technology, and is a strong performer on the road, I also recommend checking out the Honda Fit EX because, even though it is smaller, it definitely has a lot to offer too, is comfortable, has plenty of cargo space, is inexpensive, fun to drive, fuel efficient, and has an MSRP of only $16,090. In summary, I highly recommend the 2017 Honda Accord Hybrid to anyone who is looking for a stylish hybrid with a beautiful exterior, excellent fuel economy, quiet and luxurious interior, advanced technology, quick acceleration, and great on the road performance. It is definitely one of the best fuel efficient and high performing hybrid sedans available today. The Infiniti Q50 is an elegant and luxurious midsize sport sedan with impeccable style, smooth on the road performance, excellent handling, and an eye catching exterior that sets it apart from others in its class. Even though the Q50 is facing some major competition from other vehicles in the luxury sports car segment, it is a great option that offers more than just a beautiful exterior with top-of-the line features, advanced technology, good fuel economy, plush interior, and comes with either rear wheel drive or all wheel drive configurations and choice of hybrid or turbocharged engines. The exterior is absolutely stunning with embellished connected curves and a distinctive grille that looks similar to a Lexus, but has a more subtle appearance with softer lines and angles. The model I tested had a beautiful exterior in the color of Iridium Blue, which glistened in the sunlight from every angle. Larger than some other vehicles in its class, the Q50’s unique design makes it appear smaller than it really is, yet still spectacular with sleek details from the front to the rear of the vehicle. The 2017 Infiniti Q50 can seat up to five people comfortably and comes in five main trim levels- 2.0t, 2.0t Sport, 3.0t Sport, Hybrid Premium, and Red Sport 400. The base model comes fitted with a stout 2.0-liter, 4-cylinder engine that produces 208 horsepower and 258 lb. feet of torque, while the turbocharged trims come equipped with a twin turbocharged 3.0-liter, V-6 engine that produces 300 horsepower and 295 lb. feet of torque. The more powerful Red Sport 400 model yields an impressive 400 horsepower and 350 lb. feet of torque. All trims come paired to a 7-speed automatic transmission with adaptive shift control and a manual shift mode. The 2.0 trim yields 23 mpg in the city and 26 mpg on the highway, the 300-horsepower V6 yields 20 mpg in the city and 30 mpg on the highway, and the more powerful 400-horsepower V6 delivers an estimated 20 mpg in the city and 22 mpg on the highway. The 2.0t trim comes with dual-zone automatic climate control, keyless entry and ignition, 17-inch alloy wheels, automatic wipers, selectable drive modes, synthetic leather upholstery, LED headlights and foglights, 8-way power adjustable front seats, an auto-dimming rearview mirror, a rearview camera, two USB ports, satellite radio, Bluetooth connectivity, a 6-speaker CD player, and two large twin/dual touchscreen displays- a 7” lower screen and an 8” upper screen. The 2.0t Premium and 3.0t Premium trims come fitted with all of the aforementioned features of the base model, but add an advanced air filtration system, a sunroof, and a 16-speaker Bose premium surround sound system. The 2.0t Sport trim adds leather upholstery, auto-dimming mirrors, a sport-tuned suspension, manual thigh extensions for the front seats, improved 19-inch wheels, better brakes, a power tilt/telescoping steering wheel, driver-seat memory functions, power lumbar adjustments for the driver, 60/40 split-folding rear seats, and paddle shifters mounted to the steering column. Both the 3.0t Sport and Red Sport 400 trims add adaptive suspension and come equipped with more potent engines with the Red Sport being the most powerful with brush exhaust tips, a sunroof, 14-speaker Bose Surround Sound System, an auto dimming rearview mirror, and a turbocharged V6 engine. The Hybrid Premium comes equipped with the majority of the Premium trim features, but adds auto-dimming mirrors, remote ignition, an adaptive steering system, heated front seats, Infiniti InTouch emergency telematics, sport-tuned suspension, 19-inch wheels, wood interior trim, a power-adjustable and heated tilt-and-telescoping steering wheel, a navigation system, and driver-seat lumbar adjustments. Also included are advanced safety features such as a forward collision warning system with automatic braking, a surround-view camera system, front and rear parking sensors, and a blind-spot monitoring system with rear cross-traffic alert. A Premium Plus Package is available for all trims and adds heated front seats, auto-dimming mirrors, a power-adjustable heated steering wheel, driver memory settings, 60/40-split folding rear seats, power lumbar for the driver seat, and a navigation system. Also available is a Driver Assistance package which includes- a blind-spot monitor, automatic wipers, front and rear parking sensors with cross-traffic alert, and front and rear collision warning systems. A variety of add-on features are available and include- adaptive steering, a lane departure warning and prevention system, automatic high beams, adaptive headlights, and premium leather upholstery. The interior of the Q50 3.0t Sport is exquisite and impressive with high quality materials throughout the dashboard and console areas, an Infiniti InTouch Twin-Screen System with a touchscreen, and the seats in the front cabin are plush, comfortable, supportive, and can be adjusted a variety of ways to maximize comfort. The controls are within reach of the driver, which is great for people of smaller stature like me. There is plenty of head/legroom in the front cabin for taller passengers, but due to the sporty design of the vehicle’s roofline, the rear cabin is not as accommodating or easily accessible when entering/exiting the vehicle. The trunk is ample with 13.5 cubic feet of space, providing plenty of room to transport medium and large items. Additional cargo room can be acquired by folding the rear seatbacks down. Safety features for the Q50 include- adaptive cruise control, rear cross-traffic alert, surround-view cameras, automatic emergency braking, blind-spot monitoring system, front and rear parking sensors, and a forward-collision warning system. One feature that really stands out to me the most is the InTouch Infotainment System, because it has two big 8” and 7” touch screens that are located one on top of the other, which act as a special hub or nucleus for the majority of the Q50’s main controls and features, but because there are so many controls/features, I did find that it took me some time to learn how to adjust certain settings, such as the climate, satellite radio, navigation, and audio settings. The screens appear to be strategically positioned at eye level for better readability and are somewhat slanted to minimize glare from the sun. Even though the infotainment system takes some time to get used to, it definitely is one of the best ones I have ever seen and it helps to make driving the Q50 a much more enjoyable experience. On the road, the Q50 3.0t Sport is a strong performer delivering a smooth ride even on bumpier surfaces. The V6 feels strong with quick acceleration and responds briskly the moment the gas pedal is pressed. The vehicle is poised at all times, navigates curvy roads and handles sharp turns with ease, and provides excellent maneuverability on busy freeways and in high traffic areas. Infiniti has made a big step forward in an industry that for years has been dominated by European rivals by introducing the Q50. It is the perfect combination of luxury, comfort, state of the art technology, and high performance, making it a top contender in its segment now and in the future. Without a doubt, the 2016 Kia Soul EV with an all-electric powertrain is the best looking all electric vehicle around with smooth on the road performance, a stylish interior and exterior, excellent handling, incredible hatchback versatility, advanced technology, unique features, and an impressive estimated 93-mile driving range on a full charge. This remarkable range is mainly due to its 27 kWh lithium-ion polymer battery, which gets its power from one of the two charging ports that are hidden behind a concealed panel in the front grille. The Soul EV can be charged with either a 120-volt current, which takes a full day or 24 hours to fully charge/recharge the battery or a 240-volt current that fully charges the battery in about 5 hours. There is also a supercharge option available- a DC port 480-volt current that delivers an 80% charge from empty in only 33 minutes. The latter charging option is very hard to find, but Kia has equipped many of their EV dealership locations in the state of California with the more powerful DC charging ports, however, during my time in the Soul EV, I was unable to find any of the supercharged ports in my area. Kia has also partnered with companies such as Greenlots and Plugshare, which help Soul EV drivers find nearby charging stations. Currently the Kia Soul EV is only available in about 10 states with California being the focal point and is offered in three trim levels- EV (base), EV-e (California only), and + (plus). Standard features for the EV-e trim include- automatic climate control, a 6.6-kilowatt onboard charger, 16-inch alloy wheels, a 120-volt charge cable, automatic headlights, heated side mirrors, a DC fast-charge port, rear privacy glass, keyless ignition and entry, cloth upholstery, 60/40-split folding rear seatbacks, a height-adjustable driver seat, a heated tilt-and-telescoping steering wheel, satellite radio, Bluetooth connectivity, a USB port, and a 6-speaker sound system with a CD player. The base EV trim is similar to the EV-e, but has some additional features, such as a navigation system, an 8-inch touchscreen with rearview camera, climate control, and an innovative UVO Infotainment System. The Soul EV+ adds leather upholstery, fog lights, heated rear seats, aerodynamic windshield wipers, front and rear parking sensors, power-folding mirrors, an auto-dimming rearview mirror, heated and ventilated front seats, leatherette dashboard and console trim, a luggage net, a cargo cover, and a 12-volt cargo area power outlet. A Sun & Fun package that adds a panoramic sunroof and LED interior lighting is optional. The front-wheel-drive 2016 Kia Soul EV is motivated by a 90-kW electric motor (109 horsepower and 210 lb-ft of torque). Energy comes from a 27-kWh lithium-ion battery pack. There are two basic drive modes- Drive and Brake; the latter provides more aggressive regenerative braking when lifting off the accelerator, maximizing range by converting the car’s forward momentum into energy for the battery. A separate Eco mode further promotes energy conservation. Standard safety features for the 2016 Kia Soul EV include-stability and traction control, hill-start assist, side curtain airbags, 4-wheel antilock disc brakes, a pedestrian warning system, brake assist, and front seat side airbags. 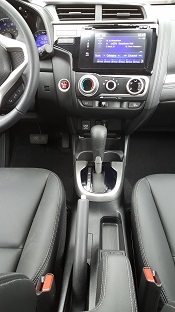 The interior of the Kia Soul EV is modern with impeccable styling, high quality materials, plush seats, and a spacious front and rear cabin to accommodate five people comfortably, however compared to the regular gas powered Soul, there is slightly less interior head/legroom for taller passengers. Cargo space seems to be just as plentiful as it is with the regular Soul with 18.8 cubic feet of cargo space behind the rear seats that can be expanded to 49.5 cubic feet when the 60/40-split rear seatbacks are folded down and an impressive 61 cubic feet when the undertray and cargo flooring is removed. The all electric Soul EV actually feels more agile on the road than its gas powered counterpart due to the electric engine’s 210 lb. ft. of torque and lightweight materials. Exclusive features that are only available for the Soul EV include a specially designed gauge cluster with an attractive display and an 8-inch touch screen that shows in perfect detail the status of the battery and power levels. Those who are used to the features of the gas powered Soul might be a little disappointed that the Soul EV does not come with all the regular Soul’s extras, such as an upgraded Infinity sound system, a 10-way power driver seat, or xenon headlights, but if they were added to the Soul EV, the driving range would be compromised by the weight and energy use of these features. The 2016 Kia Soul EV is a very easy car to drive with smooth on the road performance, quick maneuvering, and remains completely unperturbed at highway speeds, except for a little wind noise. Although the Soul EV does not have sporty handling, the stylish hatchback feels nimble when navigating around sharp corners and on curvy roadways. In my opinion, I think that the Soul EV is better suited for drivers who live in a house with a garage rather than an apartment because it does take 24 hours to charge the Soul EV from a standard 120-volt household outlet and 5 hours to charge the vehicle from a 240-volt outlet that requires a special charger to be installed in a home. It is also difficult and time consuming to drive to another city or town to use a DC Fast Charger at a public charging station, which charges the battery to 80% in just 33 minutes. If you have been looking for an all electric vehicle with a stylish exterior and interior, hatchback versatility, a roomy cargo area, advanced technology, and excellent handling with zero emissions, then the 2016 Kia Soul EV is the perfect choice. Philippa Lane is an automotive writer, expert author for Ezine Articles, Reddit Contributor, and staff writer for Cable Muse Network.